Since starting my first clinic in 1989 I have enjoyed every aspect of podiatry. I have a particular interest in biomechanics and have developed a special interest in treating injuries and assessing dancers with a view to avoiding injury, especially when young dancers move towards pointe` work. This interest is responsible for the invention of Arch Angels, which are flexible insoles, patented in Australia, and sought by dancers via the website from all over the world. I enjoy the challenges of making people’s active lives more comfortable and I find treating children is particularly rewarding. My professional life has also been rewarding as I have had the opportunity to contribute to the profession in a variety of ways. 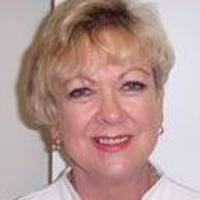 I was President of the Australian Podiatry Association (Qld branch) from 1993-2000 and in 1997 I was appointed as one of two Queensland health representatives to the Health Rights Advisory Committee. I have been a Board member of the Podiatrists’ Registration Board and Member of the Medical and Allied Health Professional Group. I am currently the National representative for Podiatry services with a major Private Health Insurance Company. Katrina has worked for us for over 20 years. She started out in our Caboolture Clinic and after leaving to become a mum to two beautiful baby girls, has returned Tuesdays, Wednesdays and Thursdays to our Kippa-Ring and Strathpine Clinics. We are delighted to have her back, as are her patients. 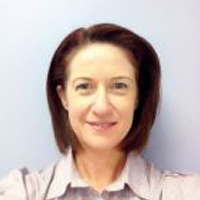 Katrina is highly experienced in all aspects of Podiatry. Katrina competed nationally and internationally as a Highland Dancer and has also been trained in ballet, tap, jazz and contemporary dancing. Katrina has a diploma in remedial and sport massage and has undergone further training in lower limb dry needling, and cupping. Katrina is available Tuesday at Kippa-Ring and Wednesday & Thursday at Strathpine. Bec Gillie has recently moved to Caboolture to become a part of the Shay Podiatry team in 2018. Bec graduated from LaTrobe University (Bendigo) with a Bachelor of Health Science, Masters of Podiatric Practice in 2017. She enjoys meeting new patients and likes all aspects of Podiatry, particularly general nail and foot care, nail surgeries, biomechanics and diabetes management. Outside of work, Bec enjoys Queensland’s warm weather, the beach and cooking for family and friends. 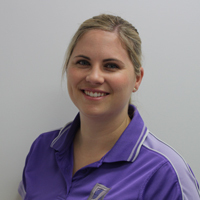 Jen is a registered podiatrist who graduated from Queensland University of Technology with honours in Bachelor of Health Science (Podiatry) in 2014. She joined the team at Shay Podiatry after graduating and has been here since. Originally from Scotland, Jen moved to Brisbane after finishing her degree in Anatomy and Physiology at Dundee University in 2008. She worked as a Medical Scientist in Queensland Health before deciding on a career as a podiatrist. 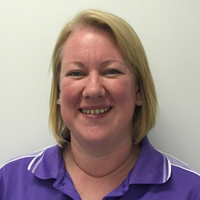 Jen enjoys all aspects of podiatry and enjoys working towards patient goals. She has a particular interest in foot pain, orthotics and diabetic foot care. In her spare time Jen likes to go to the gym, spend time with friends and travel back to visit Scotland at any opportunity. UK many moons ago and has a wealth of experience within the National Health Service and private practice. With a love of traveling Kat has lived in numerous places around the globe but has chosen Australia as a permanent home for her family. 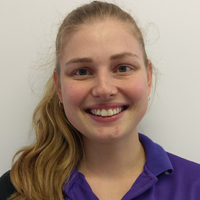 Hannah has been working for Shay Podiatry since 2015, sheis a qualified podiatrist; she obtained her Bachelor’s degree in Health Science (Podiatry) from Queensland University of Technology in January 2014. Hannah enjoys building relationships with her patients, in order to tailor appropriate treatment plans. Hannah enjoys all aspects of podiatry; she is especially keen on diabetic care, addressing foot pain, and aiding patients with difficult tasks such as nail care, she is a member of the Australian Podiatry Association, and attends conferences and webinars to keep up-to-date with improvements and changes in podiatric care. Outside of work Hannah likes to spend time with family and friends. She loves to cook and try new foods, and is passionate about travel. Hannah is available Monday and Thursday at Kippa-Ring and Tuesday, Wednesday and Friday at Strathpine. Phil is a registered podiatrist who graduated from Durham (England) School of Podiatry with a 1st class honours degree in BSc Podiatry. He worked as both a clinical podiatrist for the NHS in England and a clinical lecturer to undergraduate podiatrists. He moved with his family to Brisbane in late 2012 and started working for Shay Podiatry in 2013. He enjoys all aspects of podiatry with particular emphasis on working with patients to achieve positive outcomes for their foot problems. In his spare time Phil gravitates to all kinds of sport and in particular enjoys supporting his children from the sidelines.